Greetings from Geelong, where the skies are blue and the lovely team at GPAC is making The Almighty Sometimes so welcome. The SBW Stables may be the best little theatre in the country, but watching plays transform in shape to fit into other theatres is a strange magic, and the joy of sharing new Australian plays with new audiences is pretty huge. And there is no denying that getting to work in the Sydney Opera House is awesome. The Stables will always be my favourite stage, but getting off the train at Circular Quay and walking around to the House, seeing it gleam white in the sun, and knowing that we get to go to work on Justin Fleming’s The Misanthrope inside it is special. Knowing that there’s an Australian play inside that Australian icon means a lot—knowing that visitors to the building have the opportunity to hear the work of an Australian playwright…surely that is what it was built for. And meanwhile, back home, Jessica Bellamy’s Shabbat Dinner has completely sold out! We have been so lucky to play host to this magically immersive show this week. 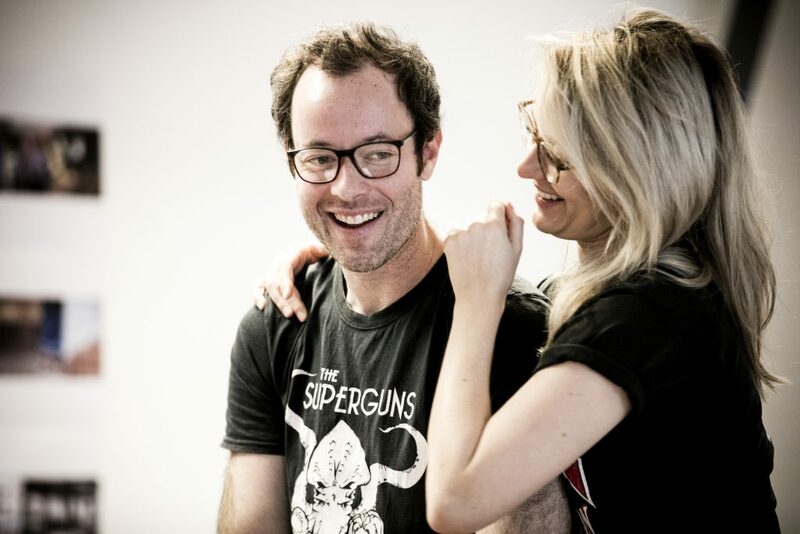 And rehearsals for Nick Coyle‘s riotous play The Feather in the Web are underway. There are so many wonderful things in store at the Stables! So here’s to more Griffin visits to the House! Here’s to more tours of Griffin plays to other towns and cities! Here’s to the never-ending transformation of the Stables stage to fit a wild range of stories and voices and writings! Here’s to our 2019 season and to all the people who have responded so enthusiastically to the new plays we will have for you next year! It’s spring! New leaves, new blossoms, new plays…how good is new!